Ron Kelley is a Florida native, born in Port St. Joe, who came to DeFuniak Springs when he was just five years old. He attended Maude Saunders Elementary School when it was located on what is now the Walton Middle School campus and graduated from the original Walton High School on Walton Road. One of his first jobs while still in high school was at a local radio station, WGTX AM 1280, which was located on South 2nd Street. After graduating high school, Kelley moved to south Florida and attended Brown Institute of Broadcasting in Ft. Lauderdale. Over the next 15 years, he worked alternately as a musician and a radio announcer. In 1993, he joined Art and Marti Dees and the staff of WZEP AM 1460 in DeFuniak Springs as news director. While at WZEP, he received the annual Newsmaker Award from the Florida Teaching Profession and National Educational Association. After six years at WZEP, he returned to the place where his radio career first began, WGTX, and became partners in that business with Sara Comander, who is a former Walton County commissioner. They managed WGTX for five successful years. When they sold it in 2003, it was the top-rated AM station in Walton County. A few months later, Kelley was named editor of the DeFuniak Springs Herald and Beach Breeze. He was there for six years and was responsible for much of the newspaper’s updated look, style and content. While serving as editor, he was inducted into the Presidential Who’s Who Among Business and Professional Achievers. He left the newspaper in 2009 and has since been involved in creating television commercials and other video projects for Little Cat Productions, now Walton Video Productions. He and business partner Cathy Mosley have transformed multiple Grit & Grace stage productions into films and documentaries, as well as creating a film presentation and documentary showcasing Christmas Reflections. They also produced “Homecoming for a Hero” which documents the return of Lt. Ewart Sconiers, a former POW, whose remains were lost to military authorities for nearly 70 years before being discovered and returned home to DeFuniak Springs for final burial next to his mother. In 2011, he was elected as to the DeFuniak Springs City Council. In 2015, he was reelected for a second term. Kelley has been on the board of numerous civic organizations, including Relay for Life, the North American Family Institute and the Walton County Heritage Association, where he served two terms as president. 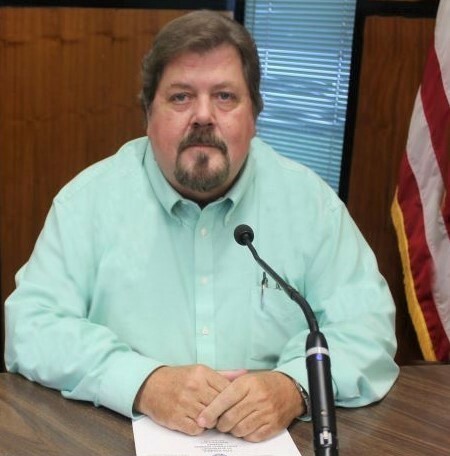 He is currently an ex-officio board member of the DeFuniak Business and Professional Association, a member of the Walton County Advisory Board to Triumph Gulf Coast and board chairman of Tri-County Community Council. Kelley has served as emcee for many local events, including LakeFest, Hometown Christmas, DBPA July Fourth Celebration, Family Movie Night, Walton County School District All County Honor Band & Chorus Concert and others. In early 2013, Kelley began as a marketing consultant and later joined the staff as marketing director of Healthmark Regional Medical Center in DeFuniak Springs. He is a member of First Baptist Church of DeFuniak Springs, where he serves as a deacon.